Discussion in 'Made with GameMaker' started by chrys, Dec 1, 2018. Hello. I continue the tradition of asking for your opinion on this forum when I launched my third game. My second game, which I first launched on this forum, Red Ball Evolved (https://play.google.com/store/apps/details?id=com.dobrocry.happyend), has been greatly modified as a result of your advice and now has almost 300,000 downloads. 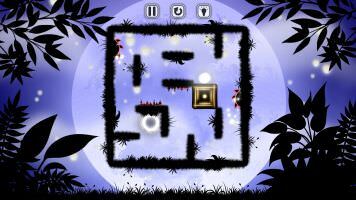 The game loaded last night on Google Play is called "Inside The Maze" and is a puzzle game. To reach the end of each level, you must use the objects around you and avoid the dangers that appear in your path. As before, I accept your advice and opinions, both positive and negative, on the principle that praise encourages and criticism is constructive I'm sure there are mistakes that have escaped me. 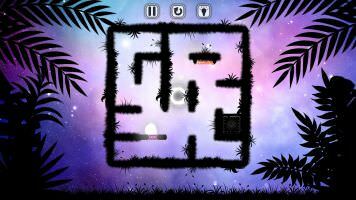 The game can be downloaded here https://play.google.com/store/apps/details?id=com.DobroChrys.InsideTheMaze. 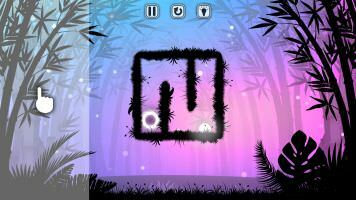 You can support me with a short review or stars on the game page. Thank you! Kasra and TinyGamesLab like this. From the video...it looks good...How about a PC version...because I don't have any Android devices. On a PC...maybe the LEFT and RIGHT arrow keys could be used to rotate the screen. watched only the video. it looks nice. even if it's not so good to have so dark games on mobile phone. Usually the mobile games are always colorful and glowing. are you sure? K12gamer, maybe in the future, I'll do it for the PC. Lucia, I thought about that. But I tested the game on different devices and looked good. If the backlight is too bright, the ball can not be seen. I played for a while and it is a nice game! I like the art style, which indeed is somewhat on the darker side but it fits with the theme! Background art and effects also feel very natural. Gameplay was spot on, with nice particle effects and game is fluid to play. 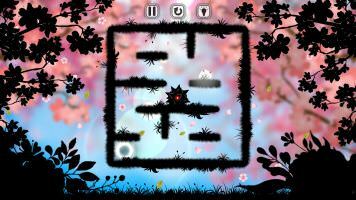 Level design is carefully though and the game does introduce you to new type of objects and mechanics as you go along, starting with easy levels to let you know how to handle such mechanics. Puzzles can get hard enough to have you thinking and dying multiple times before advancing. Game in general is well polished. The only thing that I would have changed are the menu sprites, as I don't feel they match the overall game theme. I'll keep playing (beacuse I liked it and I haven't gone to the higher levels!) and I'll see if a record a video for my YouTube channel. Thank you. It's a very nice and well documented review. I am very pleased when I see my work was not in vain and my vision is appreciated. I'll take your advice into account. And I will make the changes that will be needed. Oh I love the music, who did it? a similar sound I have been looking for for a project of my own. I'm glad you like it. The song, from the presentation, is made by Matthew Pablo. I've got to try it and the Art Style is Cool! RocketMonster, I'm still thinking about steam release. Success with your project! Etna, I hope you try it, and tell me your opinion. Thanks! Very beautiful artwork, amazing levels. Overall: 5/5 keep up the good work! I changed the download link of the game. Google told me that my developer name was very similar to another software company, so I had to relaunch the game and change my developer name. I have changed the menu graphics, increased the gravity, and increased the maze's rotation speed. I changed some of the sounds and I made a new shorter presentation video. Unfortunately, at the same time, I worked on another project. And I overwritten the keystore file, which I thought I had saved it in another location. But I was wrong. I really do not understand how it happened. I tried in vain his recovery. I had to reset it. So the players who had the game installed must uninstall and install it again. The bad part is that the saves is lost. I learned from mistakes. It will not happen again.